Is 30 days enough to help you change your eating habits, and feel the healthy effects that come with it? The creators of Whole30 believe so. The program was created in 2009 by certified sports nutritionists Melissa and Dallas Hartwig (he’s also a functional medicine practitioner) to help people harness the power of whole, natural foods to really thrive. It’s not just for shrinking waistlines, but also for the added benefits of overall wellness, such as reducing inflammation, restoring health and energy levels, and improving sleep and focus. Eight years later, the Whole30 program, which is Paleo in nature by eliminating processed foods, sugars, grains, legumes, and dairy, has become one of the most popular diets in the world. Four books, each including tips for how to shop and cook nutritious meals with approved ingredients, have made the New York Times bestsellers list, been read by people in more than 100 countries, and have found advocates from athletes to nutritionists and even Harvard Medical School doctors. The program asks for a 30-day commitment, or the time needed to help heal and reset the body by only consuming whole foods. Once you begin, for one month you will eliminate all processed foods, grains, beans, soy, dairy (aside from ghee or clarified butter), sugar and alternative sweeteners, and alcohol. Instead, you’ll eat solely from an approved list of high-quality proteins, healthy fats, seeds, nuts, some fruit, and plenty of vegetables. The plan can be adjusted for any budget—there’s no need to purchase expensive, hard-to-pronounce ingredients—and also tailored for food preferences and allergies. With an abundance of varied foods, including eggs, seafood, nuts, and seeds, the Whole30 program can be easily modified to suit pescetarians, vegetarians, and vegans. In addition, custom shopping lists are available for people with food sensitivities, including those on low-FODMAP and low-histamine eating plans, as well as those avoiding nightshade vegetables. If you need a little extra help, the Whole30 team has also partnered with Real Plans to create hyper customized shopping lists and meal plans. By focusing on what you can eat, rather than what you can’t (and with no calorie counting involved), you’ll always leave the table satisfied. In fact, many people end up doing the Whole30 program in numerous, month-long rounds. The natural foods on the Whole30 plan will finally help you get off the rollercoaster of blood sugar spikes and slumps. That means you’ll likely experience less sugar cravings and have more consistent energy levels and better mental focus throughout the day. Studies suggest that limiting processed foods and sugars, and increasing foods such as produce, healthy fats, and proteins can improve sleep quality by alerting rates of slow wave and rapid eye movement cycles. Diets rich in processed foods, sugar, and grains such as wheat have been associated with higher levels of inflammation throughout the body. If you struggle with aching muscles, stiff joints, or a puffy face, eliminating these inflammation-causing foods may lead your symptoms to improve, sometimes within a matter of days. Many foods we believe are healthy actually contain hormone disruptors—that includes meat, milk, and eggs from conventionally-raised animals (which is why it’s important to go organic when possible). Soy products such as tofu and soy sauce, and processed foods where soy is used as an additive or filler, have also been associated with higher levels of estrogen. Because the Whole30 plan eliminates all soy and dairy, you may find many symptoms of hormone imbalances improving by the end of your journey. One of the biggest benefits from the Whole30 is that it concentrates on changing the way you interact with food. Unlike other diets where weight loss is the goal, stepping on the scale is actually shunned (besides an initial weigh-in) until the end of the 30 days. This allows you to get in touch with how your body feels and allow the new eating habits to progress naturally rather than just focusing on a number. The good news is you won’t be alone in your Whole30 journey. Thanks to a selection of guide books written by the Hartwigs, you’ll have all the knowledge and tools you need to power through the next month. Here are the four titles currently available, including two brand-new releases. This is where the concept for the Whole30 all began. In this first installment in the series, the Hartwigs explore the ways that foods can be affecting many common health problems, and how to change that by eating nutritious whole foods from nature and eliminating anything processed. The book includes much of the scientific research and explanations for this phenomenon and offers some shopping tips and recipes. This book lays out the plan for the 30-day challenge. Using the knowledge provided in It Starts with Food, the Hartwigs develop a step-by-step guide for conquering bad eating habits and introducing wholesome foods. Reading it will prepare you for the program in five stages (including meal prep and cooking skills) and also presents what a typical 30 days will look like. Included are a month’s worth of recipes to help you create compliant meals. 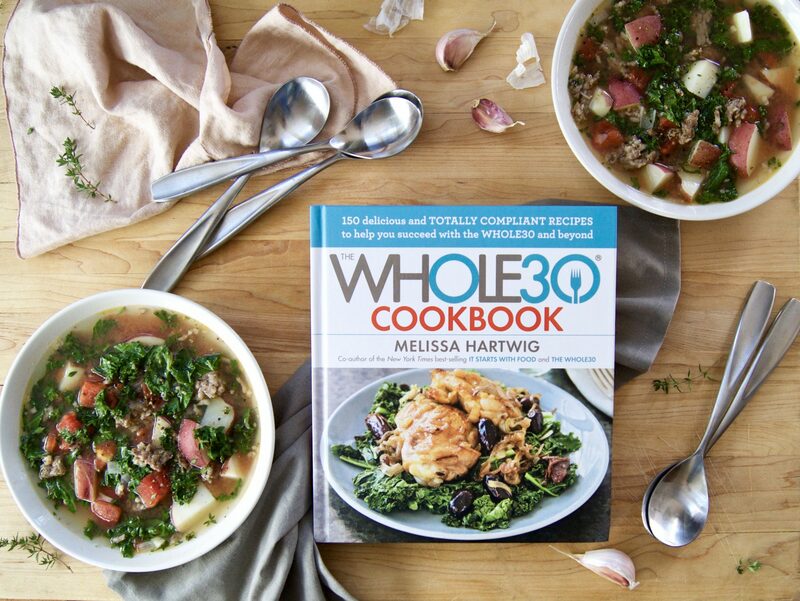 In October 2016, Melissa Hartwig released this new title, designed as next steps for anyone that completed the Whole30, or is still searching for a better connection with food. You’ll learn how to make your reset period more effective and how to easily transition off the program while still keeping control and balance in your regular dietary routine. The pages will help support your newfound healthy habits and identify and work through triggers and cravings without mindlessly giving into temptation. Hartwig also provides tips for combatting emotional stressors and social pressures—and how to enjoy the occasional treat without guilt or falling back into old patterns. Just released in December 2016, Melissa Hartwig’s latest cookbook offers 150, easy-to-follow recipes that are totally compliant with the plan—and totally tasty. In addition to all the recipes (enough for five months of Whole30! ), the book offers budget-saving and meal-planning tips, as well as ideas to transform leftovers into a completely different dish the next night. Whether you’re a natural home chef or still finding your way in the kitchen, this cookbook is good for all skill levels. And there’s a good chance your whole family will find a new, favorite recipe. After you’ve read the books and have your game plan for getting started, the next step is to start stocking your kitchen with healthy, compliant foods. 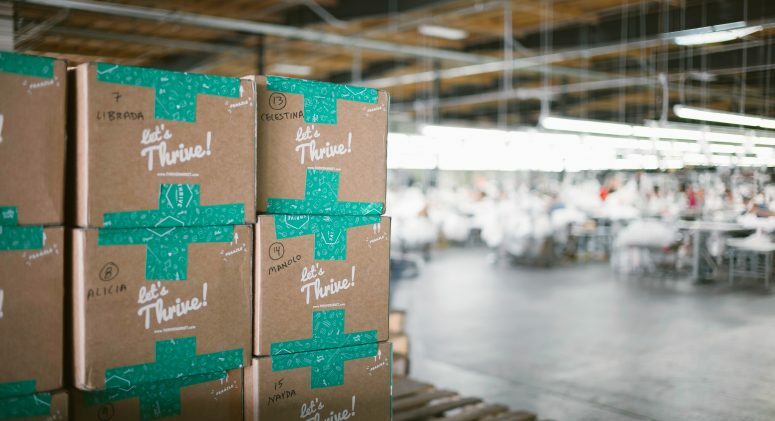 Thrive Market offers a Whole30 Starter Kit that contains nine approved staples including ghee, avocado oil mayo, wild albacore tuna, and grass-fed beef bone broth, among other items. 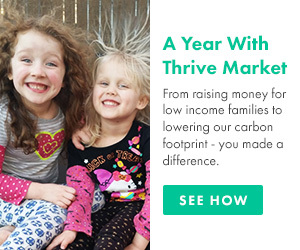 There’s also the 13-piece Whole30 Starter Kit Pro that includes the products above as well as coconut aminos, cage-free duck fat, and wild caught canned salmon. These lightly-salted coconut chips have 10 grams of healthy saturated fats and 4 grams of fiber per serving. They offer the perfect blend of sweet and salty notes to curb cravings and alleviate any thoughts of carb-laden snacks or sugary desserts. With its slight vanilla taste, this ghee is great for any fruit-based recipes. Ghee, or clarified butter, is the byproduct of slow-heating conventional butter until the milk proteins are separated and discarded. This ghee is made exclusively using dairy from grass-fed cows that haven’t been given antibiotics or hormones. Not only is it lactose-free and full of healthy fats, it also has fat-soluble vitamins including A, D, and E, as well as butyric acid, which aids in digestion. What can’t apple cider vinegar do? This raw, unfiltered product is made by fermenting apples until it produces a potent liquid that contains a pulpy mass called “the mother” that offers tons of enzymes, vitamins, and probiotics. Many people take a shot of ACV before meals to help with digestion, but it can also be used in most applications where you’d use vinegar, such as creating homemade salad dressings, sauces, and even cleaning solutions. 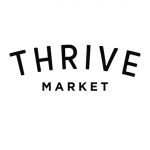 In addition to the great recipes you’ll find in all of the Hartwigs’ books, Thrive Market also has some options you can try that are Whole30-approved. Fresh sashimi-grade ahi tuna, cippolini onions, and chopped avocado are flavored with the bright, citrusy notes of grapefruit and lemon in this classic Hawaiian street fare. It’s a healthy meal packed with omega-3’s and protein that’s suitable for any time of day. Take out the bean sprouts and sub the tofu with cooked chicken or shrimp and you have a popular Whole30 dish for on-the-go. This nutrient-rich, portable lunch is stockpiled in a mason jar that’s filled with a rainbow of vegetables from bell peppers to zucchini, as well as healthy coconut aminos, fish sauce, and jalapeno for flavor. Just add to boiling hot water and you’re ready to eat! Between the green, vitamin-rich broccolini and the anchovy-based sauce, this Whole30-approved side dish is a tasty way to supplement a meal and get some nutrients in the process. The salty and fatty qualities of these tiny fish are balanced well by the ghee, lemon juice, and capers. Serve alongside an entree of grilled chicken or fish for a complete meal. This savory dish may look complicated but it’s simple to make and sure to please a crowd as the warm gingery broth meets up with the delicately-cooked halibut. Per the Whole30 rules, make sure to use coconut aminos instead of soy sauce when cooking. Just because you’re on the Whole30 program doesn’t mean you have to give up your beloved comfort cuisine. One bite of this combination of herbaceous, nutty, handmade turkey meatballs and baked spaghetti squash will delight your tastebuds and curb any lingering cravings for carbs. Even your kids would never guess that the bright color of these mini-popsicles comes from vegetables. With a blend of avocado, banana, mango, spinach, and coconut water, these popsicles are close to your favorite vegan smoothie, only frozen.